Treating a complex condition typically requires several forms of intervention. Diabetes, for instance, is treated with oral medication, insulin, diet modification, and exercise as well as management of comorbid conditions such as heart disease. There’s no one “miracle cure” for diabetes and any claim of a magical cure is a scam—plain and simple. Predatory entities use diverse media channels, including radio, television, print and Internet, to push all kinds of health scams. At best, the products that they push will have no effect on you. At worst, these products can result in serious injury or death. In addition to their possible adverse effects, these products are also a waste of money and often delay a person from receiving the real medical care that they truly need. Scams are nothing new. People have been scammed for ages—remember snake oil salesman of yore. These victims are often scared or in pain and pin false hope on disingenuous claims made by criminals and miscreants. Health scams take a huge toll on those who are already hardest hit: those who are with disease, with disability or otherwise disenfranchised. So how can you avoid falling prey to health-scam predators? Here are 10 red flags to be on the lookout for. We all age. There’s no way to roll back the wheels of time. Furthermore, there’s no treatment for aging, and anti-aging products are scams. Nevertheless, there are things you can do—behavioral modifications—that can help you age well. For example, you can exercise, eat a healthy diet, use sunscreen and avoid smoking. Products that promise anti-aging effects make an impossible claim and exploit a universal desire to remain youthful. Beware of cure-alls! There is no single cure for arthritis, AIDS and cancer. In fact, there is no cure at all for any of these illnesses. All we have are effective treatments that are administered by specialists. Any advertisement that claims to be a “miracle cure” for various ailments is a scam. Please keep in mind that any claims made about a medical device must be cleared by the FDA first otherwise these claims are illegal. The most important thing to know about dietary supplements is that they’re not regulated or monitored by the FDA in the same way that prescription drugs are. These dietary supplements are typically sold over-the-counter and contain unknown amounts of amino acids, minerals, vitamins, enzymes, herbs and so forth. Because dietary supplements are very loosely monitored, producers of these supplements can make outrageous and untrue claims in an attempt to scam consumers. For instance, no dietary supplement can shrink tumors or cure AIDS. One particular disconcerting threat of such dietary supplements is that they can interact in dangerous ways with prescription medications. More specifically, some dietary supplements increase the effect of a medication and others decrease the effect. These supplements can interfere with excretion, absorption and metabolism. For instance, when taken with St. John’s Wort, an herbal supplement, HIV medications, heart disease medications and antidepressants become less effective. 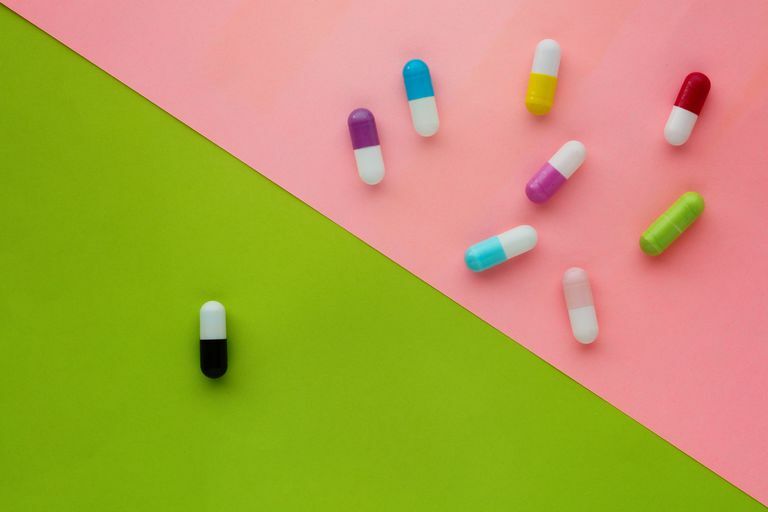 Results from the 2005-2008 National Health and Nutrition Study conducted by the CDC suggest that an estimated 72 million people were taking both prescription medications and dietary supplements at the same time. Some people do take certain dietary supplements for a very legitimate reason: to ensure adequate intake of essential nutrients. However, it’s always best to eat a variety of healthy foods to make sure that you are receiving the nutrients that you need. Health scammers often employ false testimonials touting a product. Furthermore, actors portraying physicians or other health-care professionals are also employed to plug products. Beware of physician or patient testimonials that make grand claims or big promises. Similarly, false patient histories that trace fabricated improvement or progress are also tools of choice among health scammers. For example, we’ve all seen dramatic weight loss photos where a person has lost 50 pounds in four weeks after taking some miracle weight-loss pill. Keep in mind that a drastic reduction of weight during a short period of time is both unlikely and unhealthy. When you go to fill a prescription at your local pharmacist, are you given an additional smaller bottle of that same medication at no additional charge? No! Nor does your pharmacist offer you a money-back guarantee. You should always be wary of any proposed treatment that comes with a money-back guarantee or free gift. Just because something is “ancient” or “all-natural” doesn’t mean that it’s good for you. Cyanide, hemlock and deadly nightshade are all ancient, all-natural and all deadly. Health scammers often use a wide range of deceptive language to deceive the public, such as ancient, all-natural, quick fix, satisfaction guaranteed, new discovery, scientific breakthrough and secret formula. Red Flag #7: Available From Only One Store or Website. Truly effective remedies are often available in countless pharmacies and hospitals throughout the world. However, scam products are often available through only one distributor, website, mall kiosk or store. For example, if you find a miracle hair growth pill that’s only available on one sketchy website, you’ve no doubt encountered a scam. Nearly all clinically effective medications with active ingredients carry some risk of adverse effects. A treatment that claims to be “risk-free” or “no risk” is likely a scam. Please don't believe everything you read, see or hear about health products. Use your good judgment and these tips to avoid scams. Please remember that health scams are not only a waste of money but could also result in bodily harm. If you suspect that some product with proposed health benefits is a scam, you can report this product using the FDA Consumer Complaint Forum. Before you take any over-the-counter health product, please discuss this intervention with your physician first. If you’re already using such health products or supplements, please inform your physician. If you’re unsure of what exactly you’re taking, please feel free to bring the product in to your next physician’s visit. Are Vaporizers the Safest Way to Smoke Weed?